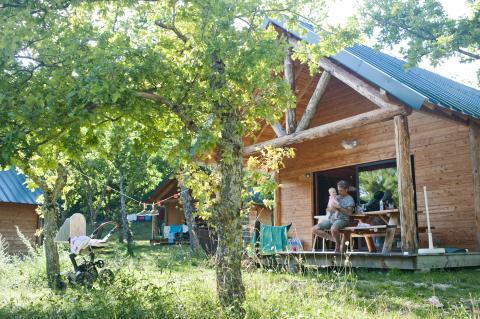 Huttopia Village Dieulefit in Dieulefit - the best offers! 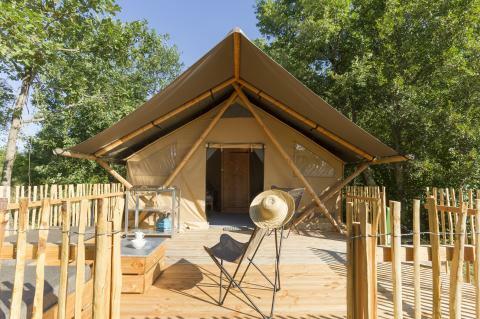 This price applies to 6-person mobile home/caravan Cabane, with the arrival as 11 June 2019, 3 Nights. 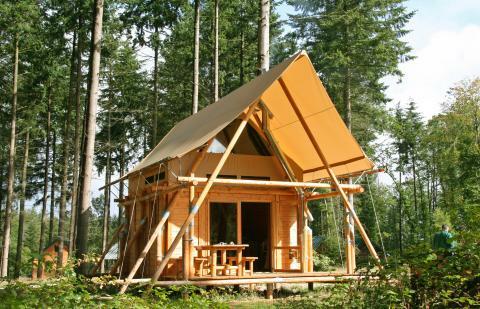 This price applies to 2-person tent Bonaventure, with the arrival as 26 April 2019, 3 Nights. 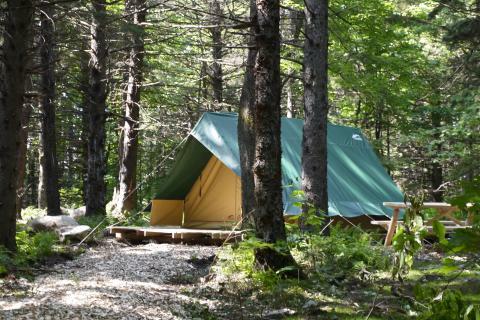 This price applies to 5-person tent Canadienne, with the arrival as 11 June 2019, 3 Nights. 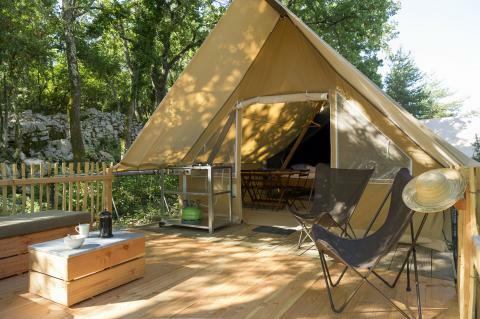 This price applies to 5-person tent Trappeur, with the arrival as 28 April 2019, 4 Nights. This price applies to 5-person tent Cahutte, with the arrival as 11 June 2019, 3 Nights. Huttopia Village Dieulefit offers guests a nature-filled holiday, situated at the foot of the Saint-Maurice mountain range. The holiday park is the perfect blend between leisure and outdoor activities. At Huttopia Village Dieulefit there is something for everyone. Family activities are included in your package during the months of July and August with activities such as pottery and kitchen workshops. Huttopia Village Dieulefit offers 2 swimming pools, 1 of which is heated for all seasons. It is possible to rent fishing equipment from the reception for some family fishing at the pond. For a more relaxing time, the Forest Spa comes equipped with saunas, a Finnish bath, and lounges. The Life Center is the place to be to enjoy a family board game, a movie or get lost in a novel. During the summer, children can be accompanied by a professional guide in activities such as basket weaving and pottery workshops. In September and October, children can take part in different activities every weekend such as kite manufacturing workshops and insect hunting. The evenings then end with fairy nights which include live concerts, storytelling, open-air cinemas and a lot more. The holiday park restaurant is surrounded by nature, making the terrace the perfect place to enjoy some traditional cuisine. The Pizza Oven, also located at the campsite is open every summer evening to excite your taste buds with homemade pizzas. Do you feel like having a lazy morning? Then you can order breakfast at the reception the night before and enjoy bread and pastries the following morning. The bar is open every weekend if you fancy a drink with your friends or some guilty pleasures such as ice-cream and crêpes. Dieulefit is a place that is known for its artistic and creative crafts. A walk through the village streets will reveal over 40 potters and ceramic workshops. You can also partake in an active day out with hiking or cycling tours to the town of Montélimar (28km) and admire the landscape of the lavender fields. For those with a sweet-tooth, you can take the opportunity to visit one of the many nougaterie as the region is quite famous for nougat.